MR. GEORGE O. LOWERY, of the Silver Royd Hill Church, Leeds 6th Circuit, has just completed twenty-five years of faithful service as Society steward. Mr. Lowrey belongs to that numerous class of modest workers to whom our church owes so much of its prosperity. He has neither the gifts nor the disposition that would thrust him into the limelight. He prefers to stand behind. But he does stand. He is always at his post. Others may run here and there after novelty and sensation. The ministers and officials can depend upon George Lowrey. He does not fail them. Society has been compelled to rise and build. To-day they have church and schools that have been erected at a cost of over £8,000, occupying a commanding position on an important thoroughfare. The premises are amongst the most extensive and suitable of our church property in the City of Leeds. The enterprise and faith that have found expression in these new buildings, have been the wonder of all who know the story. Mr. Lowrey has made a valuable contribution to this success by his quiet consistent life, by his long and faithful work. His striking figure in the choir stalls, where he has sat for more years than any other member, is always welcome. May it be many, many years before that seat is vacant. Our friend has been fortunate in his home life. His wife was a kindred spirit. She was a great moral force in the life of our church. Her death two years ago was a distinct loss. CORRECTION.—In our June number appeared a sketch inspired by the work and character of Mr. Sowrey, the excellent Society Steward of our Silver Royd Hill Church, Leeds. We regret that, owing to a peculiar formation of the initial of our friends surname on the part of the writer of the sketch, he was described as Mr. Lowrey. 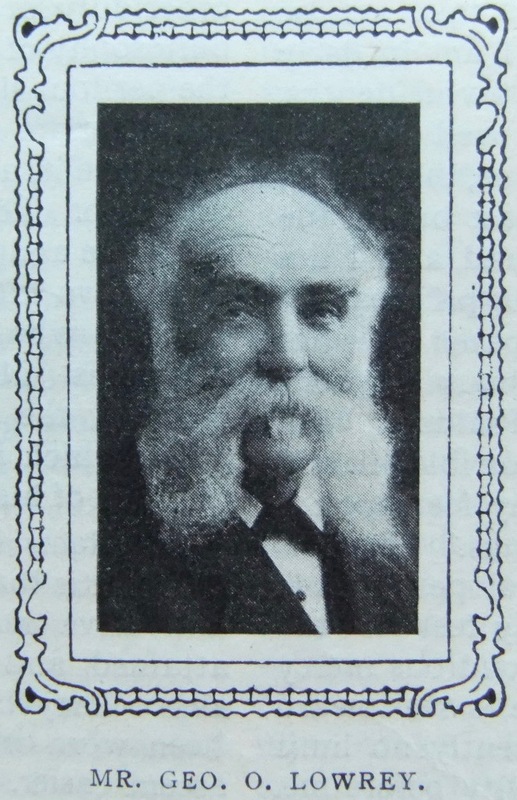 George was born in 1841 at Armley, Leeds, Yorkshire, to parents Jonathan and Sarah. Jonathan was a weaver. George was baptised on 13 February 1842. George worked as a stationary engine driver at a mill. George married Elizabeth Murfitt (1841-1867) on 26 July 1863 at St Peter, Leeds, Yorkshire. Census returns identify two children. George married Mercy Mortimer (1843-1911) in late 1868 at Leeds, Yorkshire. Census returns identify three children. George’s death was registered in Quarter 3, 1917 at Leeds, Yorkshire.